Fantastic home! Additional bedrooms are similar in size to the smaller ones. The third bathroom is as similar to the others. So many great features the MLS doesn't have room for all of them! Beautiful grounds, blacktop drive and parking area. 2 decks, both with ramps. Many windows, patio doors. Bathrooms have showers--no tubs, everything is handicapped accessible. Great home on the edge of town with plenty of room to expand. 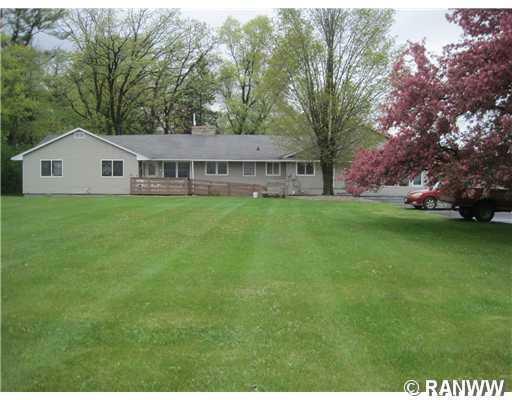 Use this property as you wish, remodel as a duplex or anything! Directions: South End Of Chetek, By The River, Across From The Bowling Alley. Take Ss South, Take The First Left, Then Left Onto Woodard.